2018 Jeep Renegade Review | Specs & Features | Gillette WY " "
What’s the Price for the 2018 Jeep Renegade? This year, Jeep is updating the Renegade with all of the latest smartphone integration features. Now, both the upgraded 7- and 8.4-inch touch screens include Apple CarPlay and Android Auto capabilities. This technology displays smartphone apps – including your maps, phone, and text messaging apps – on your central touch screen, so you can use your phone without ever actually picking it up. Apple CarPlay and Android Auto also give you the ability to use your phone’s voice controls through the central system. Now, you can ask Siri or Google Assistant to find the best local burger joint and get directions there – all without lifting a finger. On the base Renegade Sport, you’ll find a brand new rearview camera. As you back out of a narrow space, it helps you spot any stray cats or abandoned grocery carts in your path. The Sport also features a new 5-inch touch screen and six-speaker audio system, both of which improve the standard infotainment lineup. 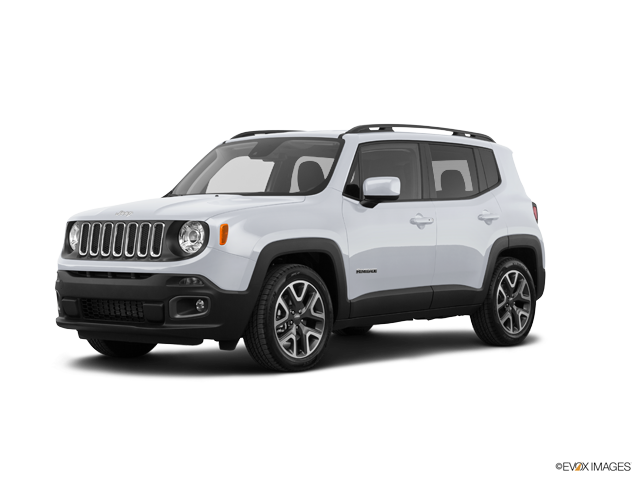 The 2018 Jeep Renegade is the perfect subcompact crossover for drivers who crave both a fuel-efficient performance and capable ride. The Renegade balances a smooth, powerful ride with fuel mileage up to 24 city/31 highway mpg*. It’s a good pick for drivers who commute to work during the week but seek outdoor adventure come the weekend. Unlike other subcompact crossover SUVs, the new Renegade offers a genuinely sturdy ride. If you’re planning to take your Renegade along on your next off-road adventure, check out the Renegade Trailhawk trim. This model comes standard with everything you need for a stable ride, including all-terrain tires, increased ride height, and a low-range four-wheel-drive system. Choose from four trim models – the Sport, Latitude, Trailhawk, and Limited – for the level of luxury that best suits your daily drive. The Sport is big on everyday convenience, with features like the push-button ignition and height-adjustable driver seat. In the Latitude, you’ll find a longer list of standard features, including ambient LED lighting and a leather-wrapped steering wheel. The Trailhawk supplies a long list of trail-ready performance gear, from the standard four-wheel drive with low-range settings to all-terrain tires. When you choose the Limited, you’ll find rich leather upholstery and street-savvy features like keyless ignition and entry. The Limited’s 115-volt power outlet keeps your laptop charged when you travel into the great outdoors. 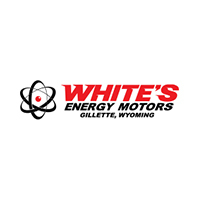 Drop by White’s Energy Motors for a look at what the Renegade has to offer. Our friendly staff is here to help, so make sure you bring whatever questions or concerns are keeping you up at night. We’ll have you sorted out and driving home in your new Jeep before you can say, Renegade. * MSRP excludes destination, taxes, title and registration fees. Starting at price refers to the base model, optional equipment not included. Pricing and offers may change at any time without notification. To get full pricing details, see your dealer. ** EPA-estimated mileage. Actual mileage will vary.